Thoughts on the Thin Man – The Book! Hey, if you enjoy these posts in website form, you will also enjoy if one pops up in book form, along with a bunch of other essays by other bloggers from around the interwebs! 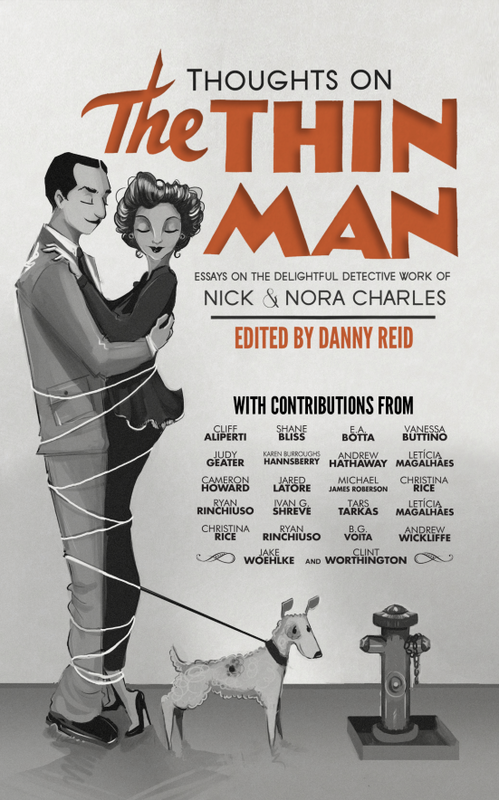 What I mean is an essay by yours truly appears in the book Thoughts On The Thin Man: Essays on the Delightful Detective Work of Nick and Nora Charles, which was organized and edited by Danny at Pre-Code.com! The book is available in both ebook and printed format, and if you buy the paperback, you also get the Kindle version for free. All proceeds from the book go to the ASPCA. You like animals, right? Prove it by buying a copy of the book! More on Thoughts on the Thin Man at Pre-Code.com. Once again, the link to buy the book is here, and this is the Kindle link. Buy buy buy!! !